← Pass Me the Quill and Ink Bottle. I’ve Got a Post to Write. In a specific and deliberate contrast to our big family trip last year, the Queen and I went to Ireland for the first time. By ourselves. With no kids. Just us! Our first day in Ireland was surreal. About 30 hours into what would become a 36 hour day with only an hour or so nap on the plane, I began writing in my journal the rough thoughts which would become this post. We were relying on a traveller’s trick which had been forced on me I learned years ago in the US Air Force. When we landed in Dublin at 5 AM local time, it felt like midnight from our East Coast perspective. We pushed ahead and forced our bodies into the local time zone the moment we landed. It really does work but it makes that first day a beast. Our trip’s schedule was sketched in broad strokes defined by where we were staying each night. Day (night) one we had accommodations at The D Hotel in Drogheda, a 45-minute drive north of Dublin. We had smartly dropped bags and car off at the hotel early before catching a bus back to the city and had the whole day – and the whole city – in front of us. Other than our room that night, the only time/place we had to be was the Guinness Storehouse at 2 pm for our reserved spots for The Connoisseur Experience. Ah – Guinness. 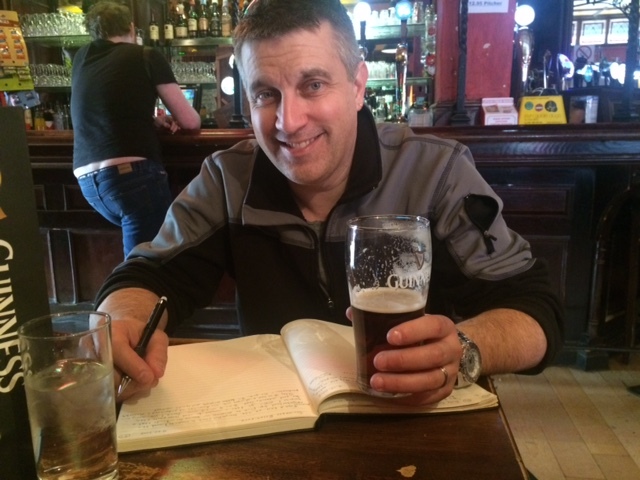 After a late in life appreciation of full-flavored beers (during which time I had endured the Queen’s friendly chides about the “chick beers” that I drank AKA Michelob Ultra or Coors Light) I had begun to appreciate the medicinal powers of Guinness about a year ago. Once the Queen shared the big anniversary trip to Ireland that she had bought, I staked my claim to a specific part of the trip. As the days counted down to our impending trip, I gushed over our plan to visit the Storehouse. To everyone within earshot. My apologies if you had to listen to it. A coworker heard my story. Here’s the short version. Do the Connoisseur Experience. It may take some planning – they only conduct three sessions a day with a maximum of 16 guests and it’s a 30 Euro premium on top of the admission price to the Storehouse. Regardless – plan ahead and reserve your spot. It’s worth it. Willing to keep reading for the longer version? Great. At 2 pm, after a fascinating self-guided tour and lunch experience in Guinness’ own pub we were quietly ushered into a private bar on the 4th floor of the Storehouse. Our host, a charming young man named Aaron (who the Queen would later offer to “put in [her] pocket and take home”) walked us through the masterfully crafted experience of a number of Guinness recipes while sharing the background for each one. Here’s the aforementioned trifecta: the pursuit of excellence, a storyteller, and the American neighborhood bar’s ancestor, the pub. Aaron’s craft is delivering the Guinness Experience. And he did so. As a masterclass in framing a brand, he delivered an abbreviated history of the beer, brewery, and brand that culminated in each of us learning to pour the “perfect pint” – but only after ensuring that we understood exactly what that meant. So by the time I poured, I understood. Like the shoeshine from Is That A Mirror On Your Boot Or Are You Just Happy To See Me?, there is nothing overtly complex about the Connoisseur Experience. Other than the fact that excellence is always more difficult to capture than simply going through the motions. Excellence is the difference between simply meeting a goal and redefining the measure. Aaron, and the Connoisseur Experience, delivered. I’d opine that there are a few companies in the world that define “branding”. Harley Davidson, Apple, Jack Daniels, Guinness – these are the companies that others look to in order to truly see brand definition in action. 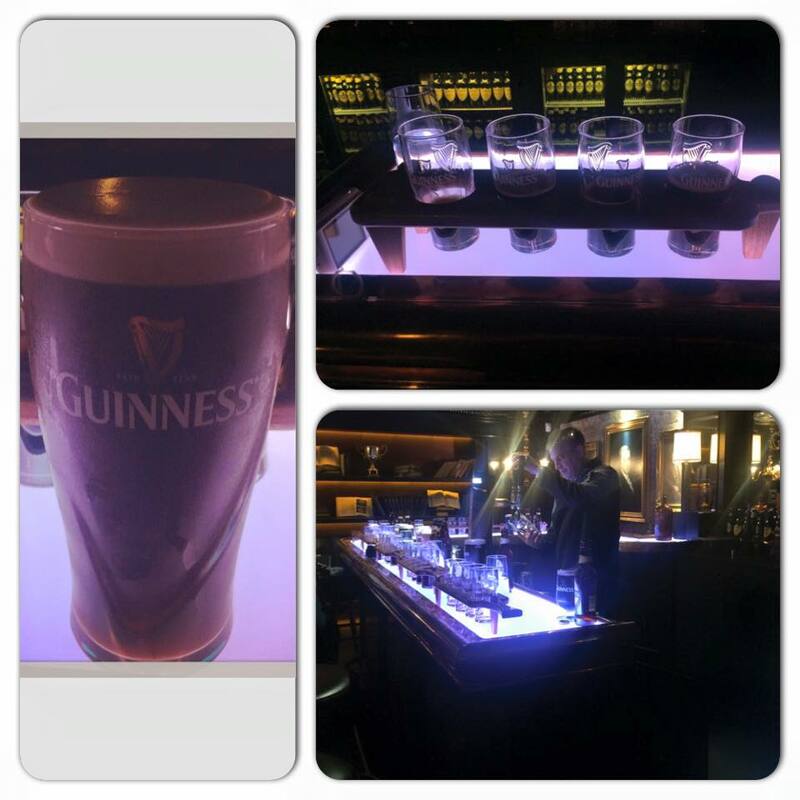 While the strength of the Guinness brand was on display on every floor of the Storehouse, nowhere was it more plainly presented than during the Connoisseur Experience. Thank you, Aaron, for the opportunity to experience a bit of excellence in action as you led us through the Connoisseur Experience. It was everything that I hoped it would be! The camera adds 10 pounds. To your face, apparently. Been to the Strorehouse twice, must do the Connoiseur next time! Very cool! It’s on my bucket list!